The city’s downtown offers a variety of places to eat. Elegant restaurants welcome customers walking along the streets. However, if you are looking to recharge your batteries, don’t miss out on the famous “picadas” (small food joints), where food is plentiful. 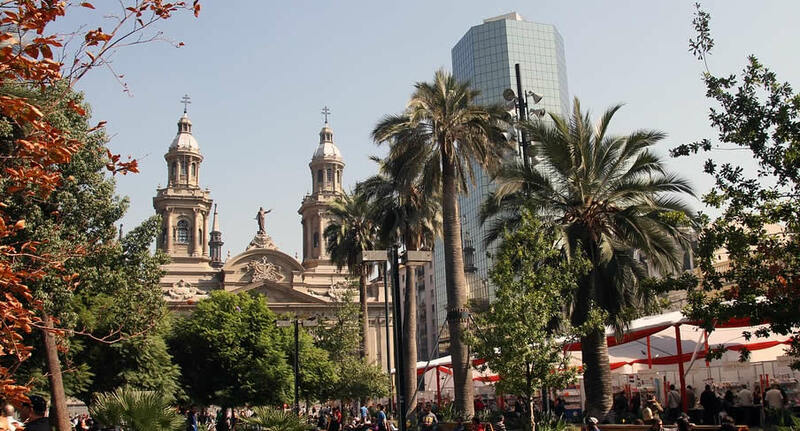 Walk around its streets to find old buildings like the Santiago City Hall, the Cathedral, the National History Musem, the Court Houses, and many others. Or just sit down and take in the busy life of the city on the classic Paseo Ahumada.